Healthier Super Bowl Sunday Seven Layer Dip! Looking for a healthier (but still delicious) version of the classic Super Bowl Sunday Seven Layer Dip for this weekend? Look no farther. The secret? Using nonfat plain Greek yogurt instead of sour cream and mayonnaise! Your friends and family won’t even notice the difference… I promise. 4. Serve chilled with your choice of corn chips. 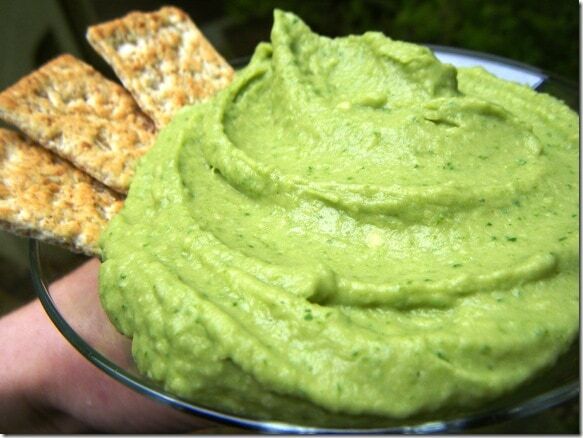 Want more ideas for Super Bowl Sunday appetizers/snacks? Thanks for these recipes Anne. 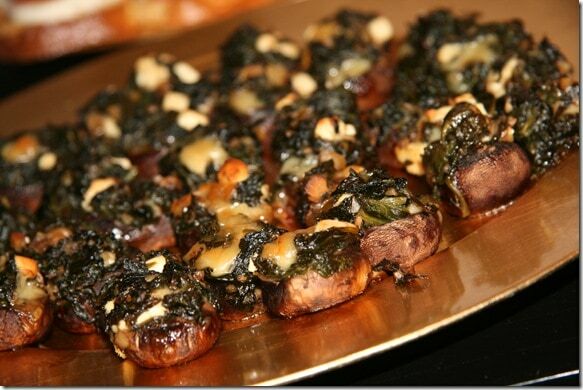 I especially like the looks of the baked stuffed baby bella mushrooms and the pumpkin bean dip. I will definitely make these for Sunday evening. I hate to say this but I could care less about the super bowl game, but my family and friends will be with us and that’s all I care about. I always went to my boys and grandson’s games but I just don’t like football. I put on an act how much I love it and evidently they bought it. I love baseball. I like to watch tennis also. I used to play tennis when I was a young woman and I love to watch people swim. I never learned how and I would love to learn but feel that I am too old. Thanks, as always, for more great ideas! That hummus guac looks amazeee! Yum! Reminds me of TJ’s 7 layer dip! I will have to make this – I miss TJ’s so much. These all look delicious! i won’t be making them for the superbowl, because i don’t watch it or care about it LOL! But, they will be making an appearance at parties from now on! Ooooh, I like this healthified version! Seven-Layer Dip is just too darn good – what a great swap with the Greek yogurt. I love seven layer dip so so much – this looks amazing! Mmmmm – pumpkin bean dip has my name on it! AND I still have several cans of pumpkin in my pantry. Those look sooo good. Can’t wait to try them. Oh wow, Anne!! The colors are glorious. Your dip looks almost like a pizza, too! I love seven layer dip!! Can’t wait to try out your recipe! The baby ‘bellas look awesome too! Anne – made the bean dip and the brie for 2 different events this weekend. Rave reviews by everyone!! And you’re right – no one knew the difference with the greek yogurt. I actually heated it up to melt the cheese and warm the refried beans. The yogurt and avocado didn’t hold up as well under the heat, but overall it was a good warm dip.